On Saturday evening, while in Kosovo, we watched the World Cup at a restaurant next to Newborn, before heading to a Cuban bar. This peculiar mix of impressive salsa dancing in the centre of Prishtina and a dose of international football got us in the zone for the clubbing extravaganza that would follow. 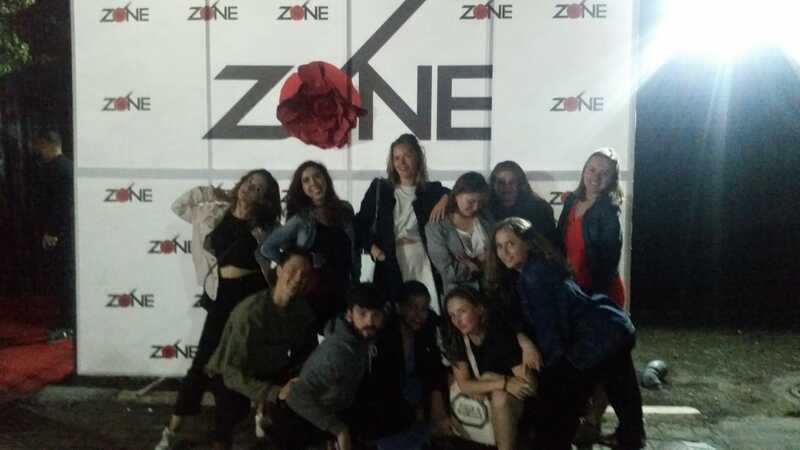 The blasting tunes in the taxi ride out of town hyped us up sufficiently, although I questioned the club of choice when the boys were charged €10 each and the girls got in for free, although this made a little more sense when we saw the 1-10 ratio inside. Nonetheless it turned out the be quite the experience. The lights were sensational and the music strictly Albanian. I was left with a lingering sense of bemusement when the DJ played a series of nationalistic anthems coupled with Albanian flags. I imagined the English equivalent: a club in suburban London playing a remix of "God Save the Queen" whilst displaying the flag of Saint George. After dragging myself out of bed the next morning and finding our way to the morning meeting place, we slept off our hangovers of repentance on the bus southbound to Prizren. On arrival I was instantly struck by the age of the town in comparison with the relative modernity of Prishtina and Mitrovica. The centre felt much more like somewhere in the Mediterranean than the Balkan region. The sun was shining and the squares were bustling with people eating and drinking at the numerous bars and cafes. 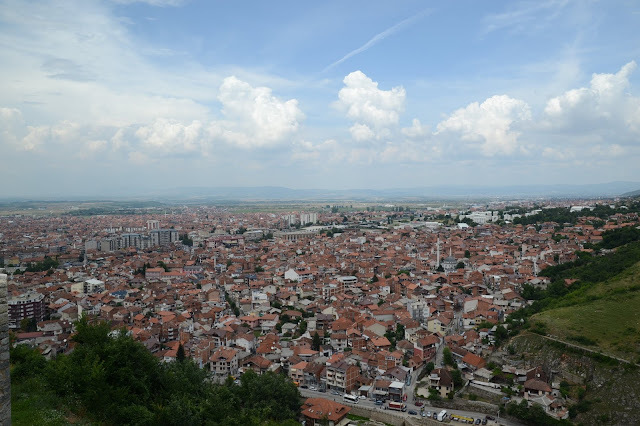 We started our visit with a guided tour of Prizren's must-see spots, including a Serbian Orthodox Church, a Mosque, and the fortress on the hill overlooking the city. The weather was clear which provided us with a view of the mountains in the distance. I was instructed that knees would not be tolerated in the mosque and that I should wear trousers, however I paid a heavy price given that I only brought a pair of tight black skinny jeans with me. The temperatures rose in the midday sun, as I searched the town high and low for a pair of breezy linen trousers I could change into. My search was to no avail and I took refuge in a cafe and cooled off with a Coca Cola in hand. 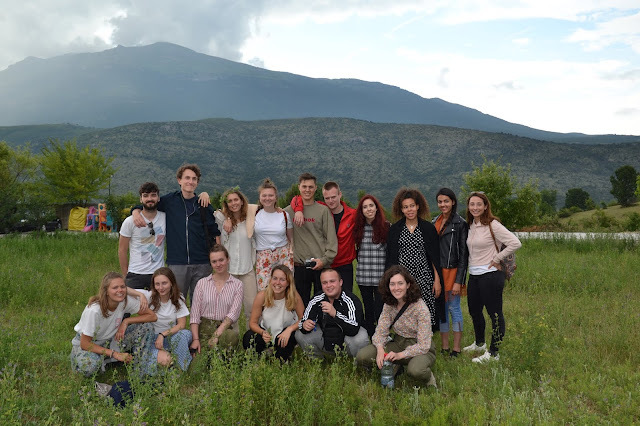 Our culinary indulgences included the local speciality of the Prizren kebab and a subpar ice cream, after which we boarded the pleasantly air conditioned bus. With the distant rumbling of thunder in the distance we drove further south towards the Albanian border, stopping for dinner at a restaurant amongst mountains and next to a sizeable lake. We relaxed on the grass outside and watched the last of the sun set behind the mountain on the far side of the lake. Reflecting on the trip so far I would say that the greatest satisfaction for me personally is in seeing the things we learnt abstractly in the classroom. We studied these organisations and learnt about their involvement in the process of building peace in Kosovo. However it is one thing to read and another to see and hear from them in person. Overall I feel extremely privileged to be in a position where I can travel to this extremely interesting country, whereas the same cannot be said for the people of Kosovo we have met. The trip is nearing its end and I am grateful for this opportunity.